The patented Safetybag by DaklaPack has changed the way our clients are sending biological category B substances by mail or courier, not only is our packaging UN3373 approved, leak, dust proof and light weight but also inexpensive. Using DaklaPack UN3373 packaging range, you can choose your own postal or courier service. 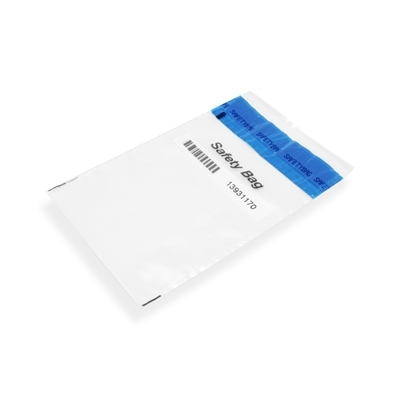 Fitted with the easily identifiable blue band across the top of the bag which when folded back exposes the peel away backing, simply insert contents into the Safetybag, removing backing and apply even pressure across the blue band surface. The Safetybag will now be completely leak proof. Our Safetybags have been tested up to 95kpa, constructed from a strong polyethylene and are recognised globally as being suitable as a secondary liquid tight packaging for transport of biological substances category B.